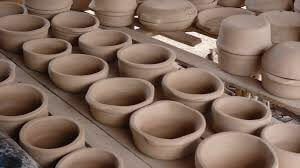 We’ll start off with my history in pottery. Pottery is actually really fun to me. 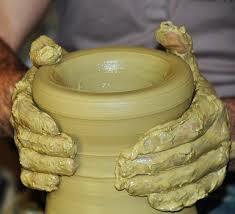 I’ve always had a sort of affection for clay, I just like the way it looks and feels. I forget the exact name of the place, but in Oregon I went to this pottery place where you could purchase pre-sculpted dishes or anything and then you just got to paint them and take them home. One time I actually ran into my buddy who works at the most reliable air conditioner repair in sparks nv. My sister got a sculpt of a cat laying down, which was pretty dumb. What a waste. Cats aren’t even real animals, they just sleep. If they were humans, I bet they would binge watch netflix and leech off of their parents even in their mid-30s. I got a gecko, because lizards are way cooler than cats. It has a hole in the bottom so you can hang it from anything, so I would use a small tack and hang the lizard. This way it looked like the gecko was climbing up my wall, even though I’m pretty sure I painted it orange so nobody would even think it was real. It could have been green, too. That would have made more sense for a gecko. My uncle knows a ton about pottery and he loves it, so if I wanted to, I could just head to pottery barn and he could show me how to work a kiln and make some cool vases or something. I did homeschool for the second half of both 6th and 7th grade, and one of my classes was an art class where they sent me clay that only dried after you got it wet. By the end of my school year, I had built a few vases made from coils, and one or two dishes. I made this one dish that was a small plate that had ridges on the sides so things couldn’t fall off, and it even had their initials with a heart in the center. The heart actually cracked perfectly down the middle so now the plate is just a sad metaphor for their relationship.